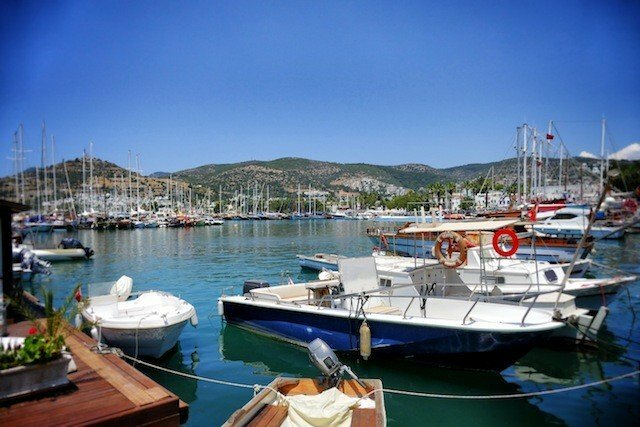 A trip to Bodrum – Turkey’s answer to St Tropez? 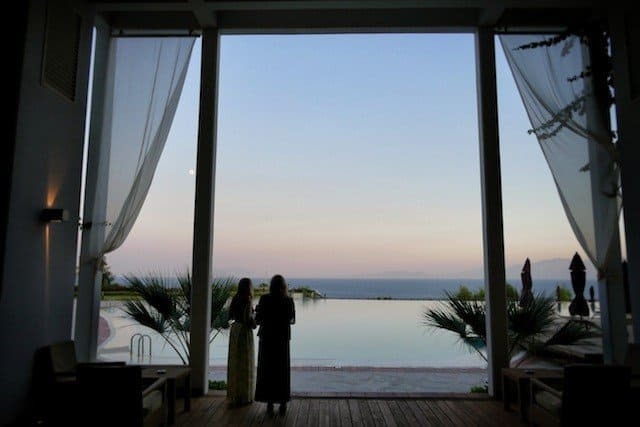 Last month I was invited to experience a stay at the five star Kempinski Hotel Barbaros Bay located in Bodrum, an Aegean coastal resort which has become increasingly popular with the rich and beautiful. Apparently even Cristiano Ronaldo and Catherine Zeta-Jones are fans. I was intrigued. After squeezing all my smartest summer outfits into my carry-on case I headed out to south-west Turkey for four nights to see what all the fuss was about. 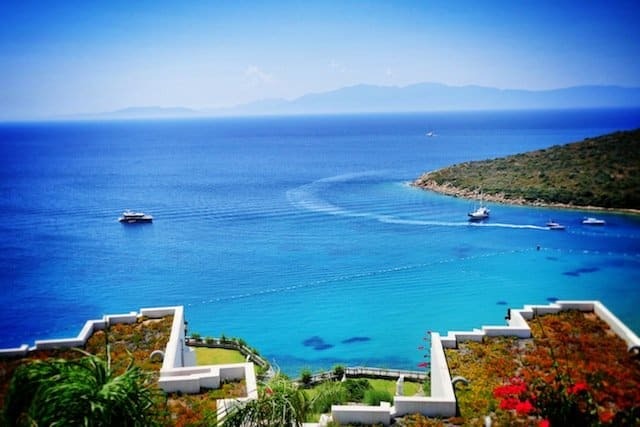 We found the Kempinski Hotel Barbaros Bay perched upon a steep hill, surrounded by a seemingly endless clear blue ocean and not much else – its unspoilt tranquil setting is a far cry from the overdeveloped beach resorts that blight Europe’s balmier countries. After being greeted by a team of eager and friendly doormen and reception staff we scoped out our new surroundings. The hotel seemed to go on forever, with a large marble reception area and a tall stairway which opened up into a vast atrium. Huge floor-to-ceiling windows served as a backdrop and let in both the sweeping ocean views and swathes of sparkling sunlight. 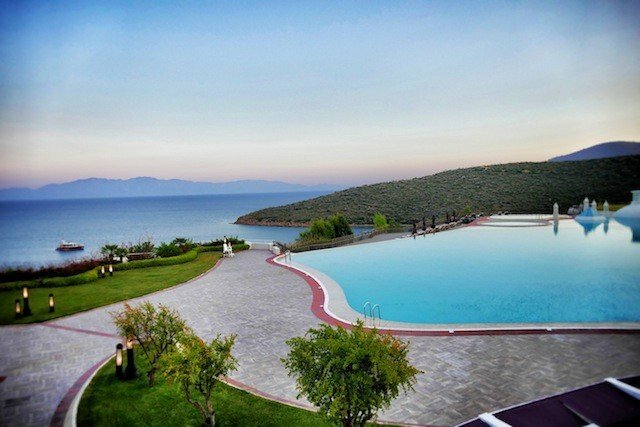 Outside the hotel was equally as dramatic with a series of layered terraces leading to a spectacular infinity swimming pool which merged seamlessly into the beautiful Aegean sea. We were shown to our rooms which were spacious, immaculately decorated and in a true five star hotel fashion featured plenty of attention to detail (think a pillow menu, Jo Malone toiletries and even a very handy dental kit!) Instantly my eyes were drawn to the room’s huge balcony. The views were truly breathtaking – a perfect panoramic snapshot of a brilliant blue ocean dotted with a small handful of eerily silent super-yachts, framed by cloudless sky; a place where you could easily sit transfixed for hours. As well as a secluded private beach, a choice of six restaurants and an impressive programme of water sports activities, the endlessly sprawling resort is home to one of Europe’s best spas, the ultra-luxurious Six Senses Spa. The spa is a unique 5,500 square meter underground labyrinth which leads to a series of private chambers including massage rooms, steam rooms and saunas. The Turkish hammam is a more modern version and housed in bright white dome. 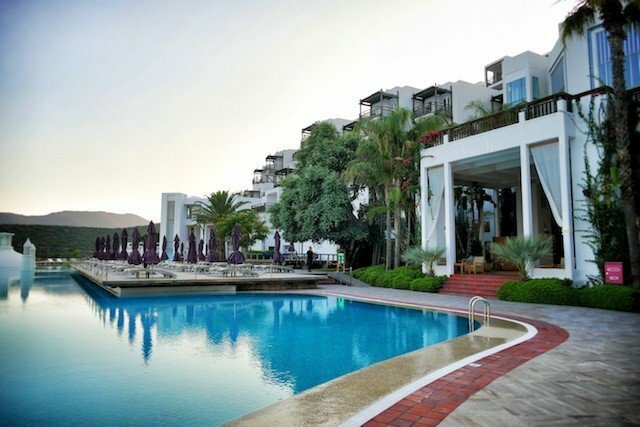 Bodrum itself is also very impressive, it’s an attractive laid back resort split in two by the town’s historic castle. 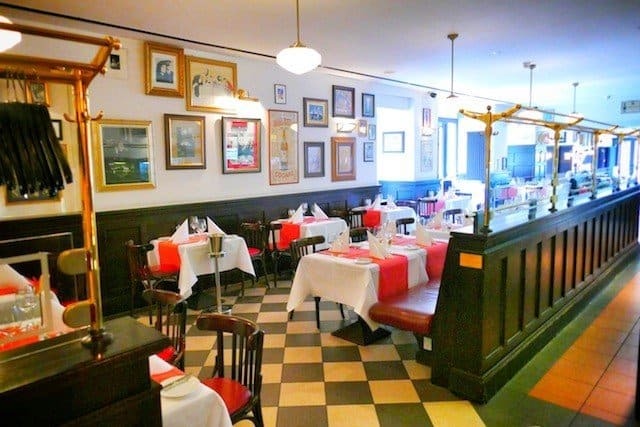 With its bountiful supply of chic waterfront restaurants, a marina filled with gleaming white super-yachts and a distinct lack of ‘Brits abroad’ tourists, the place definitely has a cosmopolitan air. 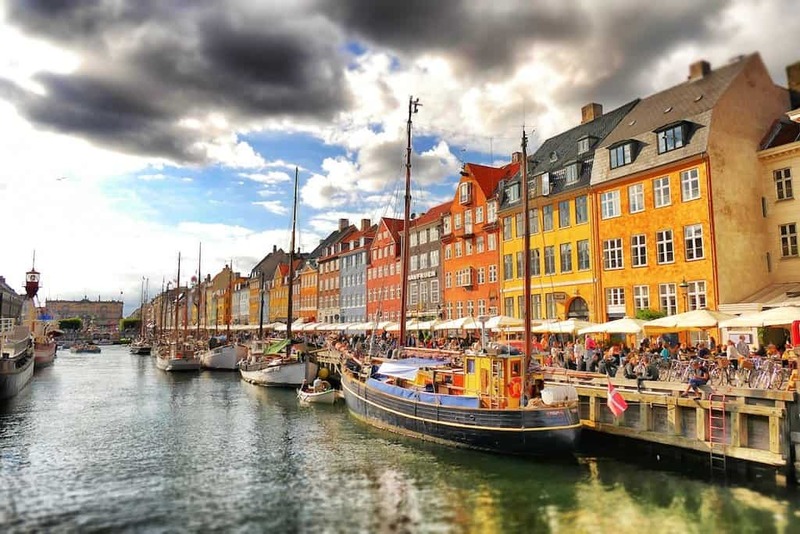 On one side, the marina is flanked by a pedestrianized bazaar-style shopping area and a series of upmarket hotels and restaurants, but to the east there’s more of a stereotypical resort with thin stretch of beach surrounded a higher concentration of bars and restaurants. 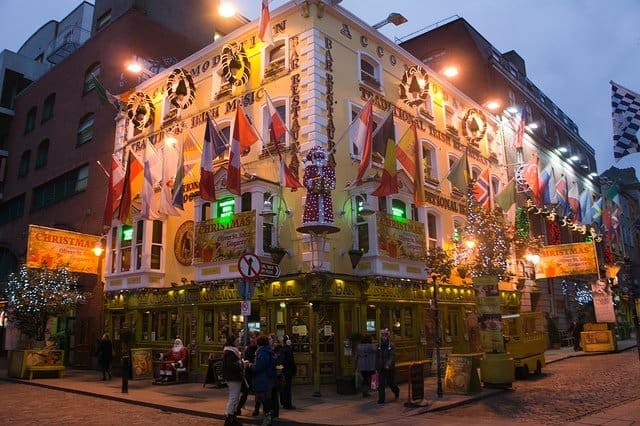 At night – we were told – the whole place turns into a high octane party zone. Bodrum could never be accused of being boring! With a wave of ultra luxurious hotels and a newly spruced up marina this dazzling stretch of Aegean coast is being transformed into a decidedly up market resort. Head there now before the rest of the world really catches on! All words and images by Becky Padmore. I was invited as were guests of Kempinski Hotel Barbaros Bay but all my opinions are my own. Please check the Foreign Office website for up to date advise before travelling. I have to appreciate the choice of Catherine Zeta-Jones ha ha! What a beautiful looking hotel! Hi Maddy, I’m sure you wouldn’t regret it – it’s incredibly beautiful! Thank you it was a very special place! Wow, amazing hotel and a beautiful setting! 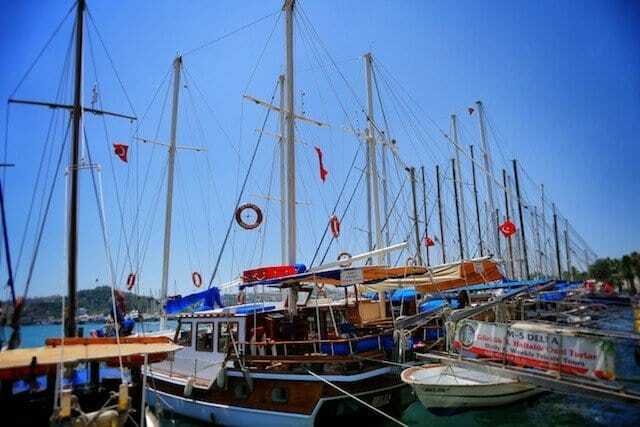 It really makes me want to visit Bodrum and it wasn’t on my list is the first place! Looks like a fantastic place to stay! My wife would love it! Wow, wow, wow that hotel looks so luxurious and that balcony view woah! The balcony view was out of this world! I love up market beach resorts like this, looks very classy! It was, a very special place! Wow, amazing hotel and what a lovely setting! 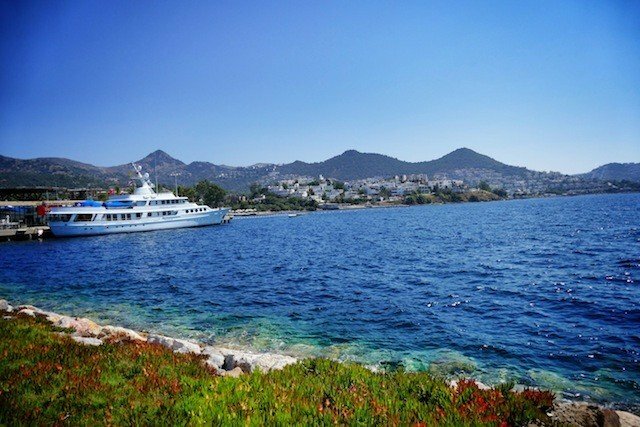 It’s making me really want to visit Bodrum and it wasn’t on my list before! To be honest I’d never considered Bodrum before either! I always imagined that if and when I made it to Turkey, I would be going for more city and culture and history rather than the beach. 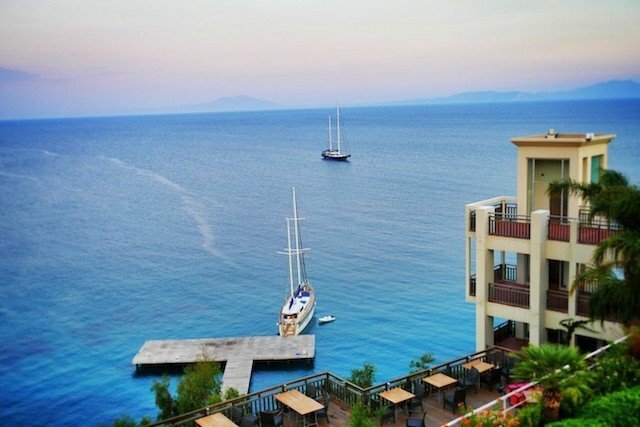 But looking at this post about Bodrum and this gorgeous hotel, I think I might have to plan differently! Such stunning views and that spa sounds incredible! Yes there’s so much to Turkey – a very diverse country! This is stunning! We’re planning to do Turkey soon, so will totally bookmark this! Glad to be of help Jess, will look forward to reading your posts on Turkey one day! Looks like a fantastic place to stay and a nice resort! It was both the hotel and the resort! Adore the pictures, and the read! What a fantastic looking place to visit! Wow, what a jaw-dropping balcony!! I have previously visited Kash and Kalkan but have never considered Bodrum before and had no idea it was a luxury resort. Definitely one worth considering in the future. It’s a place becoming a lot more up market and I would definitely recommend staying at the Kempinski for a really luxurious stay! Hope you make it over there Agness! I’m sure you’d love it!